Designed for efficiency, the AutoCrew Management System is web based, holistic in approach, and requires no proprietary hardware. Our open architecture design provides true interoperability. MRT proudly offers dependable and convenient solutions to travel logistics, gangway management, certificate tracking, and automatic reporting. With convenience in mind, we created a specification that offers end users a clear alternative and superior solution to existing POB and muster systems. 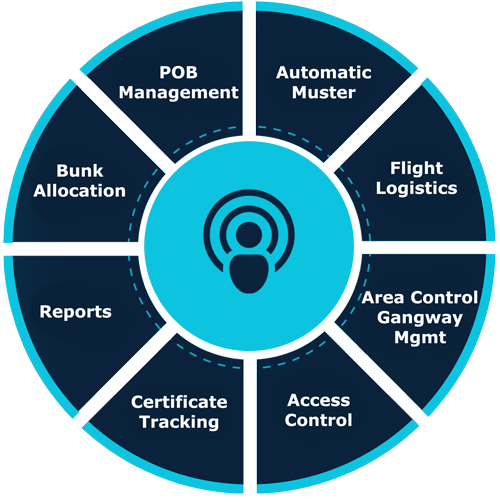 Do you have an onshore requirement? We supply to onshore energy, government and industrial facilities.